Chicago has been the focus of corporate school “reform,” but Chicago is now the epicenter of the push back against it. The Chicago Teachers Union (CTU), along with parent and community allies is leading the fight, with the possibility of going on strike. In support, Teacher Activist Groups (TAG) invites you to join our campaign, Solidarity with Chicago Teachers, a web page where you can find up-to-date information on what’s happening as well as an opportunity to pledge your solidarity by posting a testimonial, teaching a related lesson, organizing a discussion and solidarity from your union, school, or education program, and/or contributing to the CTU solidarity fund. Last year, the Illinois legislature, with support of Chicago Mayor Rahm Emanuel, passed an anti-union bill mandating that in order to authorize a strike, 75% of all CTU members would have to vote in favor, with votes not cast being counted as ‘no’s. 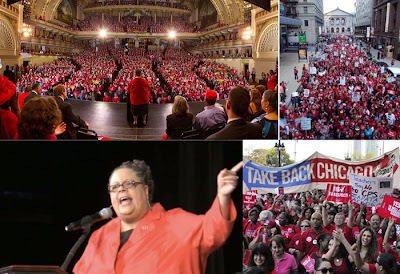 The teachers and their allies responded by rallying 6000 strong in downtown Chicago in May 2012 and in June, the teachers voted with an overwhelming majority of 90% to authorize a strike. When counting only the ballots cast, that majority goes up to 98%. This is an historic moment for public education. 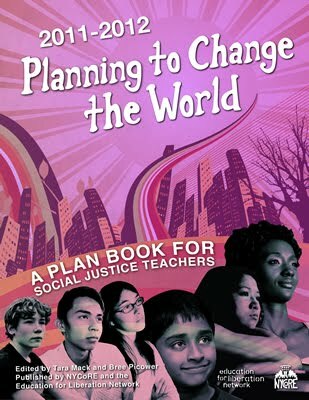 The outcome of the struggle for just and equitable public schools in Chicago will help define this struggle nationwide. If the teachers do go on strike it will not be an easy fight, which makes your support and pledge of solidarity vital. Please join today! Their Fight is Our Fight!